The following variety of kebabs will be demonstrated. 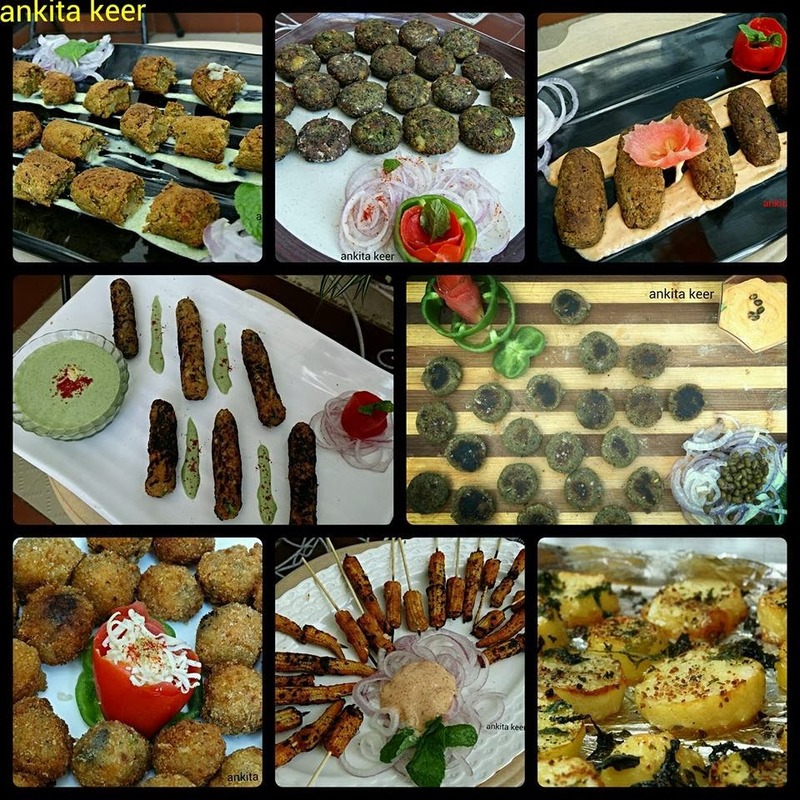 Tdy i made potato shooters, paneer sheik kabaab, mushroom crockets along with mint dip. Came out so delicious n perfect. They were so easy my kids also helped me to serve. Got so many compliments. N my hubby was they r so soft from inside n this smoky smell is Amazing. This all credit goes to u n ur delicious easy recipes. Thank u so much. Attended your class and made the nargasi paneer kebeb,,,thank you for a quick n easy recipe along with dip. all liked it a lot at home.